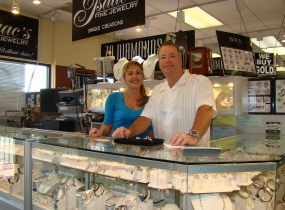 We at Isaac's fine jewelry are proud to offer the finest in diamond jewelry at the lowest possible prices. With over 23 years in the business we have the experience, knowledge and integrity to make you a loyal customer. come in for yourself and see why Isaac's is YOUR MOST BRILLIANT CHOICE!